For season one of Orange is the New Black I binge watched it and then I stopped watching it, not because I didn't like it but because I kept forgetting to watch it. Now with season four about to hit Netflix, I am binge watching from the beginning again so I can get caught up for Season Four that is now available on Netflix. 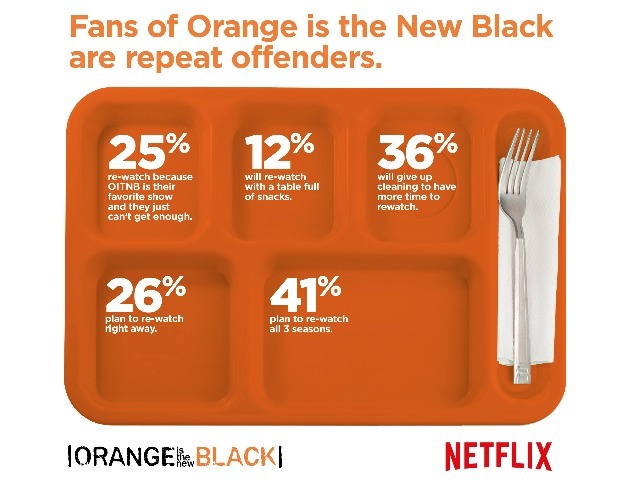 Are you a repeat offender when it comes to watching Orange is the New Black? I know I am not alone in watching all the past season before watching the current season because Netflix found out that 41% plan to watch all 3 season before viewing season 4. If you are just starting out watching Orange is the New Black set aside a few hours a night to get caught up because once you start watching you can't stop.